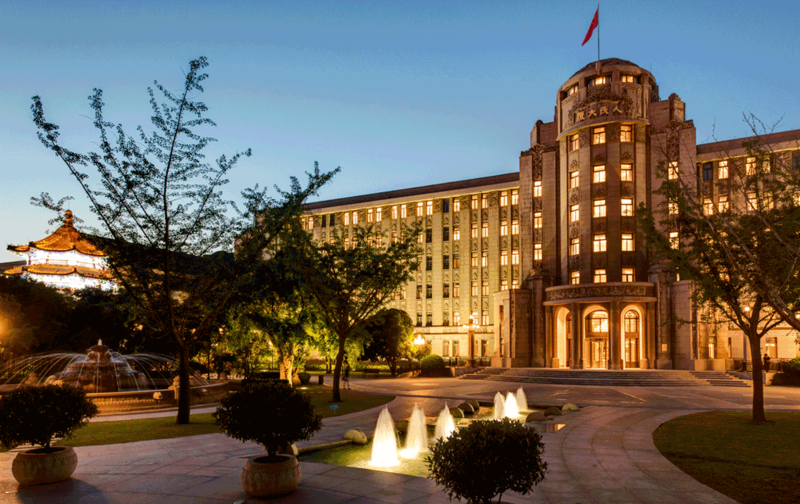 A 180° view of the new Museum at the People’s Grand Hotel Xian. We built and curated the hotel’s museum at the People’s Grand Hotel in Xian, China (Sofitel Legend). The museum officially opened in September 2014. The new museum is located right behind this tree in the main building of the People’s Grand Hotel Xian. Historian and curator of the exhibition, Carola Augustin (left), inspects the set up of her new museum. Silver ware of the early days of the People’s Grand Hotel Xian. Display of the set up of the state dinner of François Mitterrand. Final touches to the display of the set up of the state dinner of François Mitterrand, on display at the museum.